You’ve just moved into one of the new homes in Savage MN and perhaps treated yourself to a brand new washing machine, as well. You’re probably making an effort to keep your new home clean and sparkling, and you should do the same with your washing machine. It may seem counter-intuitive, but washing machines need to be cleaned, despite all the soap and water running through them. Without regular care, they can develop mold and some funky odors that eventually work their way into your clothing and your home. First off, you need to know what kind of washer you have. This typically breaks down into two categories: high efficiency (HE) front or top loaders, and top-loading non-HE machines. 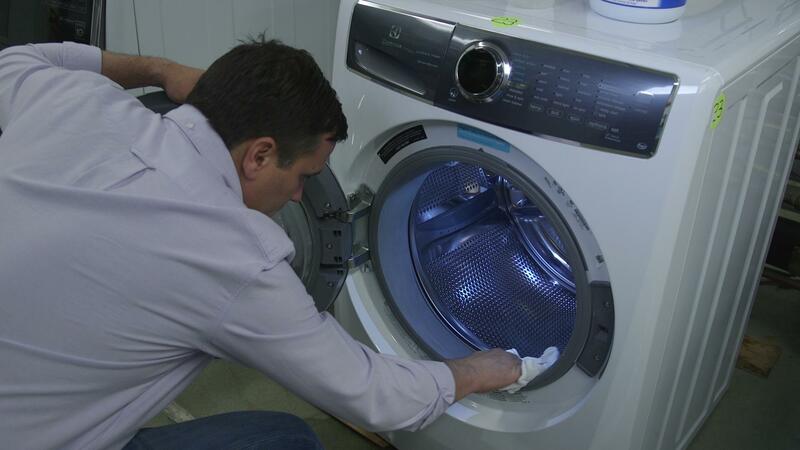 If you have an HE machine, there’s a good chance you already have a clean cycle to make things easier, but no matter what type of washer you have, you really should clean it once a month. As for the cleaners, you can choose from vinegar, bleach, or a commercial cleaner; just be sure to only use one. Never combine multiple cleaners. For an HE machine, start with the clean cycle if available. If not, choose the hottest water setting. Next choose the added rinse cycle if that’s an option, otherwise you will need to run the rinse cycle a second time manually. Now fill the bleach dispenser with the cleaner you have chosen. At this point, make sure the tub is filled to the highest level, which is probably automatic with the clean cycle, and start the machine. Afterward, dip a microfiber cloth in vinegar and give the rubber gasket where the door seals a good wipe, checking for mold, mildew, and any socks that may have worked their way under. Finally, don’t forget to clean the soap and softener compartments of any residue and buildup. With older, non-HE top loaders, the process isn’t much different, though you likely have to pay more attention as there’s less chance of a cleaning cycle. Simply choose the hottest temperature, wait for the drum to fill up to the highest level and when it does, pause and add four cups of white vinegar or one cup of bleach and then let the machine agitate for a few minutes. At this point, pause the machine again and let it sit for an hour. During this time you can clean the top of the drum area and agitator and the lid area. Once again, clean the soap and softener compartments, and once the hour is up, restart the machine and let it finish the cycle. If you do smell bleach or vinegar, run a second rinse cycle. Don’t forget to give the outsides a wipe down and when possible, let the door or lid stay open to help dry the machine out and prevent mold and mildew. While it may seem like a lot of work, your machine will function better and you’ll have less risk of bad odors building up and penetrating your clothing and your new homes in Savage MN.